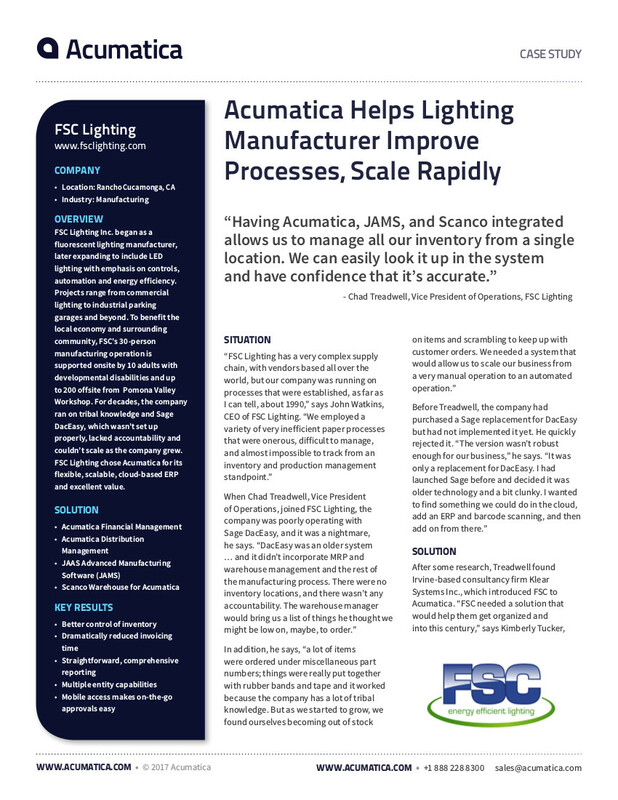 Want to find out more about Acumatica? 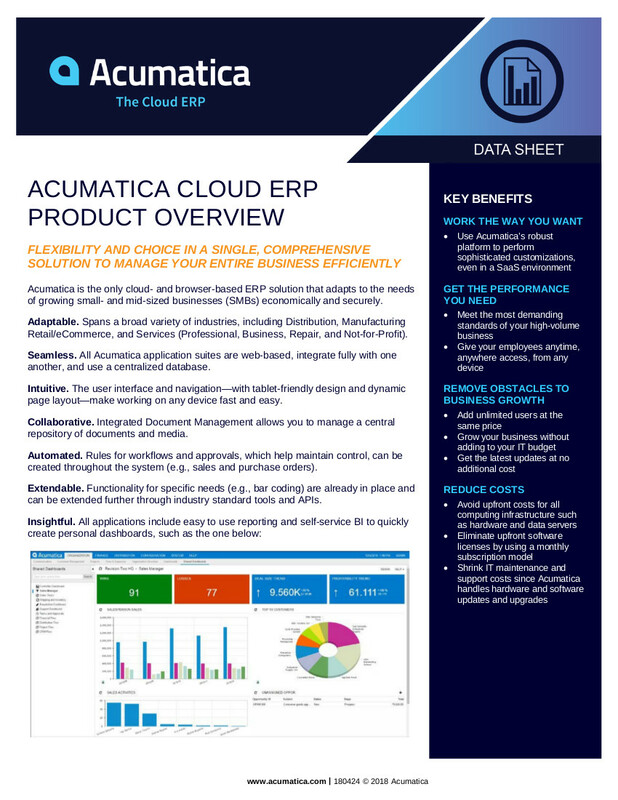 Acumatica is the fastest-growing provider of Cloud ERP software for small- and mid-sized businesses. Built on the world’s best cloud and mobile technology, our adaptable and integrated applications deliver modern solutions for ERP and CRM. These can help streamline your processes while gaining visibility over all aspects of your operations to accelerate your business growth. Each application is fully mobile to allow access from anywhere on any device at any time. 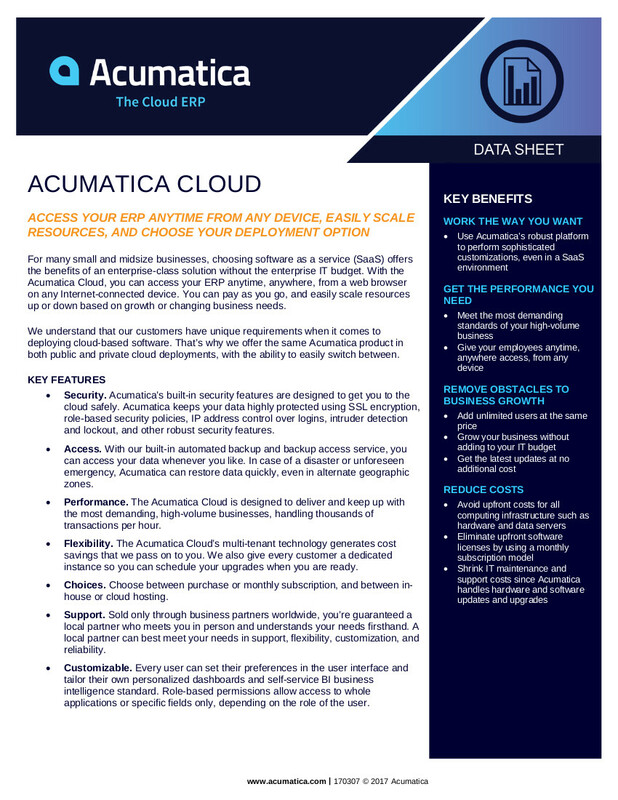 Acumatica’s unique pricing model offers flexible licensing and deployment options and is easily expanded for a growing organization. 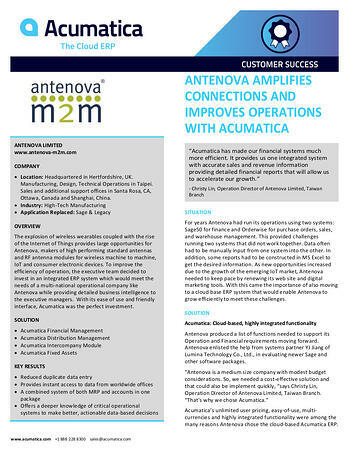 Acumatica has made our financial systems much more efficient. It provides us one integrated system with accurate sales and revenue information providing detailed financial reports that will allow us to accelerate our growth.